Redundancy pay; have you been paid what you are owed? Whilst many companies now only contractually pay the basic statutory rate of redundancy pay, some employees are entitled to non-statuary redundancy pay which is generally higher. Your entitlement and any qualifying conditions will be outlined in your contract. Remember, there are minimum legal requirements that an employer must fulfil; they can pay more but not less. The statutory pay is dependent on length of service and your age at the time of being made redundant. You need to have been working at the company for more than two years to qualify for any redundancy pay. Below is an outline of how statutory redundancy pay is calculated. If you work overtime or receive regular bonuses these are taken into account if you make a statutory claim through the Redundancy Payments Service (RPS) and may be taken into account by your employer. This will depend on your contract. The statutory amount is paid in weekly increments, calculated based on your age and length of service up to the maximum amount paid by the government, which is currently £489 per week and capped at 20 weeks service. 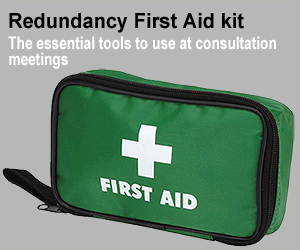 In the example above the total statutory redundancy amount would be a maximum of £11,975 (if your employer did not have a weeks service cap), but if it’s capped at 20 weeks it would be £10,298, as it counts back from your current age. 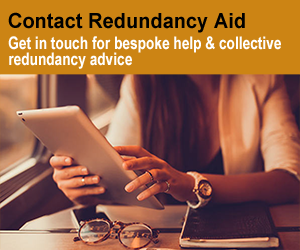 Even if the company is insolvent you are still owed these redundancy amounts, if the administrator informs you that the company does not have the funds to pay your redundancy then this amount can be claimed from the Redundancy Payments Office (RPO) by filling in an RP1 form. Redundancy payments up to £30,000 are tax free, this only covers the actual redundancy payment itself, notice pay and other benefits are likely to be taxable.